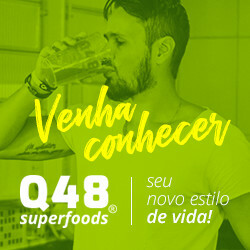 14.03.2019 в 16:35 Consumer Day - New promotion and coupon at Q48 Superfoods! 13.03.2019 в 23:34 Consumer's Week - New banners in Q48 SuperFoods - Fit Products Store! 21.01.2019 в 17:09 New banners in Q48 Superfoods - Healthy Products Store! 15.01.2019 в 21:58 New coupon in Q48 Superfoods!